Please stop worrying. I’m fine. I’ve not fallen behind in my workouts, just my daily blog posting. This being recovery week, I figured I’d give my fingertips a bit of a break as well. Anyway, On Tuesday I dutifully “cleared my mind” and did yoga. Yesterday, I did what can only be characterized as “the opposite of yoga”: Pure Cardio & Abs. Man, Pure Cardio & Abs really does a good job waking you out of your recovery week slumber. I don’t believe there’s any Insanity routine that causes me to sweat more. And the numbers show it. Since this was my first pass at PC&A with the heart rate monitor, I took mini breaks whenever my heart rate exceeded 170 bpm. This is, no doubt, where I reached failure at previous attempts. Having the heart rate monitor is nice because I didn’t feel like I was not giving it my all–I was clearly working–and I clearly needed to take the mini breaks. The HRM, in my case, helps me to be objective about my ability/performance while engaged in the Insanity of the routine. 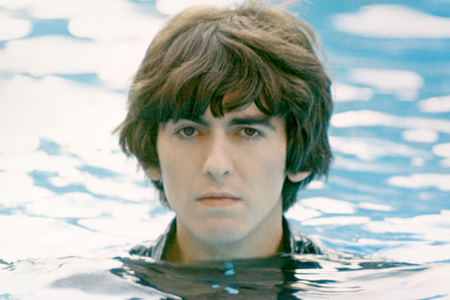 Devout readers of this blog already know that I’m a big George Harrison fan. And last night I sat down and enjoyed the Martin Scorsese documentary “Living in the Material World.” Such a great songwriter and an inquisitive mind. And my average heart rate was definitely reduced by the 16 minutes of Ab work at the end. So, wow! This entry was posted in P90X-Insanity Hybrid, Round 3 and tagged Calories, George Harrison, Heart Rate, P90X-Insanity Hybrid, Pure Cardio & Abs, Yoga. Bookmark the permalink.